Towering British statesman Winston Churchill was born on November 30 1874 in Woodstock England. He served in the British Parliament from 1900. He was appointed First Lord of the Admiralty during World War I. With the collapse of appeasement, Neville Chamberlain was forced to allow Churchill to re-join the cabinet. Following Chamberlain's resignation in May 1940, Churchill became Prime Minister. Churchill's courage and determination are considered by most observers to have been instrumental in rallying the British to fight. Churchill developed a very close working relationship with American President Franklin Roosevelt during the war years. It was Churchill who coined the term "Iron Curtain." 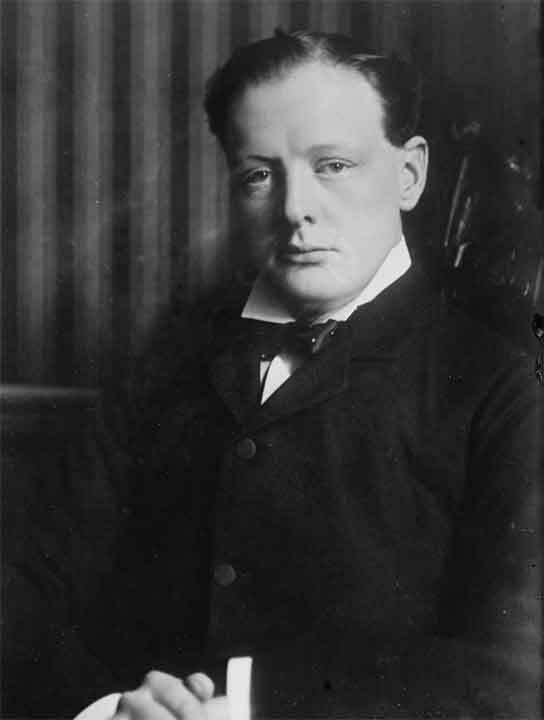 After several years out of office, Churchill became Prime Minister again in 1951, and was knighted in 1953. A prolific writer on political and historical topics, he won the Nobel Prize for literature in 1953.